We are sharing real life stories and feedback from our customers in a series of posts each day, that inspired us and will inspire you too. We want everyone to believe that no matter how you feel right now there is great potential to feel better building from the inside. 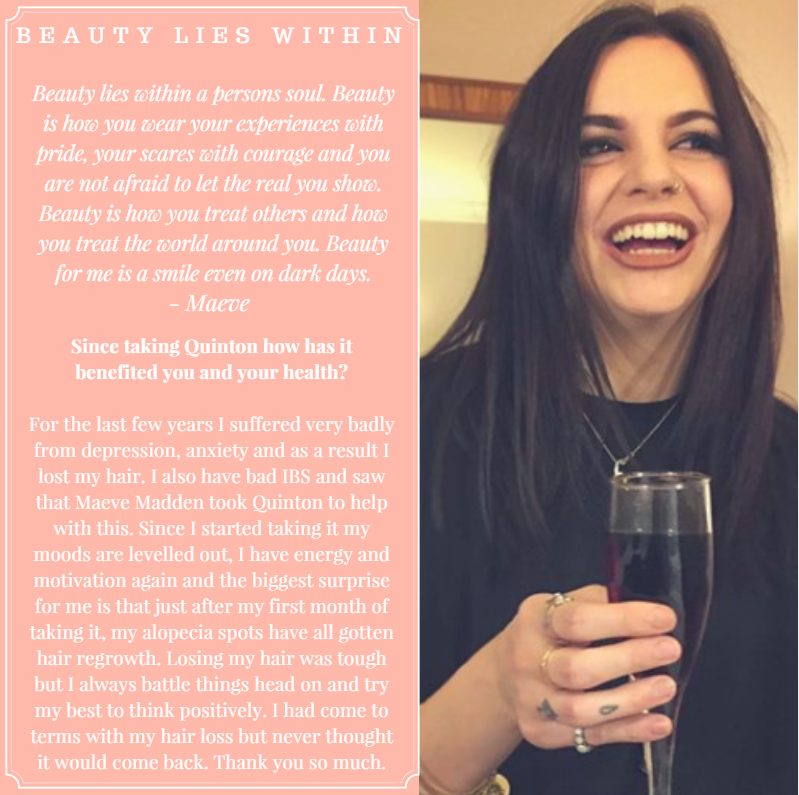 We asked our customer a series of questions inline with our beauty campaign. Take a look at what they said. Don’t just take our word for it, see what our customers say for yourself! These stories have come from people who all have their own individual struggles but have found that Quinton has helped to give them confidence. By taking Quinton daily it has helped our customers to gain control over their body again. Taking back that control helps to increase your mood, reduce stress and anxiety and help you to feel better within. 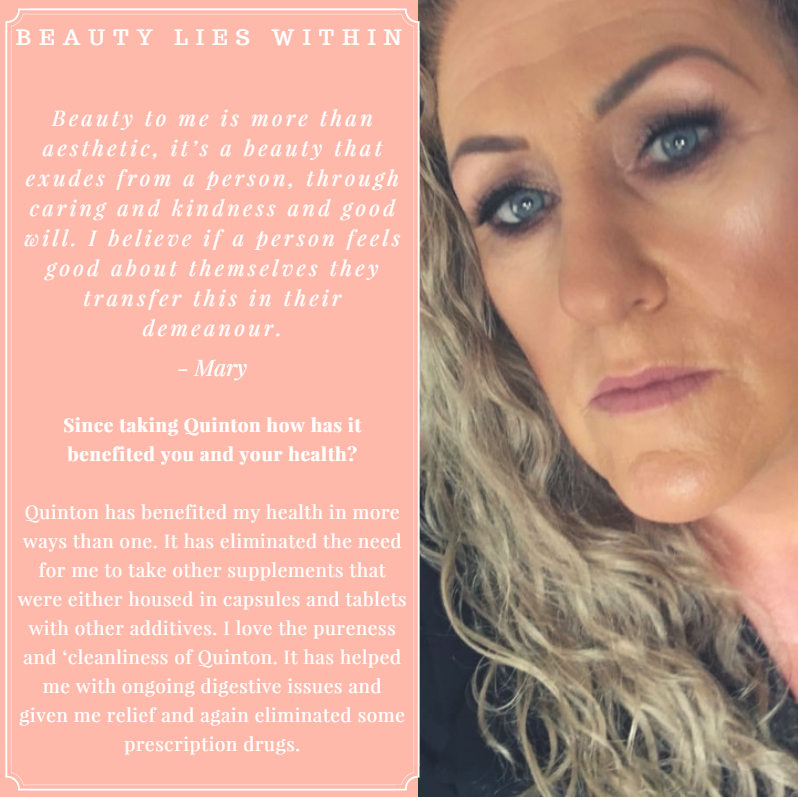 Follow us on Facebook to read all of our customers inspiring stories and find out how Quinton has helped to give them their confidence back!